Here at Mattress World Northwest, we are frequently asked “which mattress is the best?” The answer – it depends. You see, the best mattress is going to vary from person to person, because everyone has specific sleep needs. It's important to understand that many variables factor into the equation when finding the right mattress. Height, weight, health history, and sleeping position are all variables unique to each person that affect your choice in sleep set up. That's why our team uses a customized Sleep Analysis to ensure that each customer finds the right bed for their individual needs. Which mattress brand is the best? Again, it all depends. Each brand of mattresses carries higher quality lines, economic collections and everything in between. We always tell our customers that the materials used inside the mattress are the most important factor. Too often, patrons get so focused on a specific mattress brand that they fail to look for the right components that will offer the best night’s sleep. Our Portland, OR mattress showrooms boast a huge inventory of beds – including luxury and more affordable lines – that are all backed by our signature comfort guarantee. 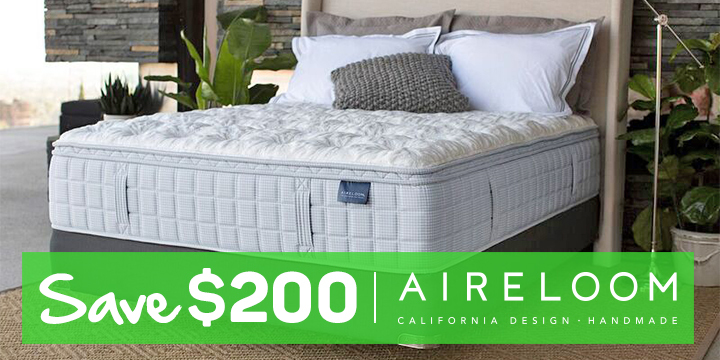 If you are not completely satisfied with your purchase within 90 days, you can exchange your mattress without hassle. Our wide inventory includes all top name brands, luxury labels, organic conscious companies, and some surprises you may not have known were out there! Those who want an eco-friendly option will fare well with the OMI OrganicPedic or OMI Natural mattresses, which are crafted from 100 percent natural, sustainably-sourced materials. Sean Hathaway, owner of Mattress World Northwest, even offers his own private label of mattresses marketed as The Hathaway Collection. This premier line is made entirely from locally sourced materials, and built right here in Oregon. By avoiding big chain stores and purchasing local, you’re strengthening the economic base of the community while reducing environmental impact. 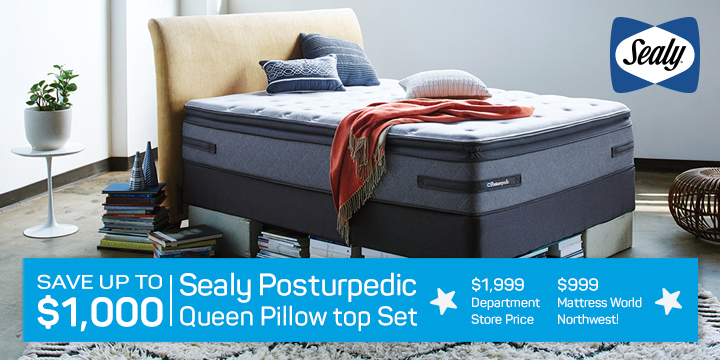 And while our top-of-the-line mattresses are fantastic in and of themselves, some buyers are upgrading their sleep set up with an adjustable power foundation. Multiple position adjustment bases let you elevate your head and/or feet with the quick touch of a button, and can be combined with a range of memory foam, latex or inner spring models. "Which mattress brand is the best?" Again the answer is, "It depends"
Each brand of mattresses carries higher quality lines, economic lines, and everything in between. What is most important are the materials used inside the mattresses. Too often, customers get so focused on the brand of the mattress that they fail to go through the process of finding the right mattress for their specific needs. One of the great aspects of mattress shopping today is the wide variety of high-tech materials available. You can choose from latex, memory foam, cooling gel foam, innerspring coils or hybrid designs that combine the best of both worlds. 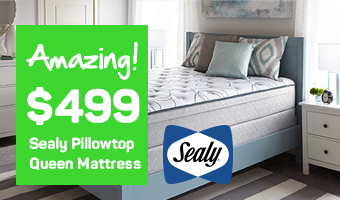 From hand-tufted, artisanal beds to self-ventilating latex technology, Mattress World Northwest is your ticket to a better night’s sleep. Every mattress line can be customized for your specific needs, whether you prefer a plush pillow top surface or ultra-firm support. Body-hugging foams, individually wrapped coil springs and pressure-absorbing latex help you enjoy hours of deep, restorative sleep. And numerous studies have shown that a good night’s rest is critical for being productive and focused during the day. Our Sleep Specialists know the importance of quality sleep and can help you recharge your body and spirit with the right mattress that provides optimum support, temperature regulation and outstanding comfort. To learn more about the best mattress for your needs, our staff is here to answer queries and provide suggestions to help you make an informed decision. Our goal is to help you sleep better, whether you suffer from an old back injury, arthritis, acid reflux, or other health ailments. Often times, our Sleep Specialists find that customers are simply looking for a comfortable yet supportive bed that doesn’t sink down in the middle, and offers good relief from pressure points. Others may be searching for a bed that helps them stay cool at night, or snooze through their partner’s tossing and turning. Fortunately, our comprehensive selection of quality mattresses by leading manufacturers means customers have tons of options. And once we know your usual sleep position and desired features, we’ll recommend our best mattresses for a comfort test. We treat our customers like family, and are proud to offer competitive price points and unbeatable service. Think of it this way, if you like a pair of jeans from The Gap, does that mean they you automatically like anything and everything that Gap sells, and that any piece of clothing from their store will work for you? Absolutely not. You need a specific piece of clothing in the correct style, size, and color for you, right? Buying a mattress is no different. Here at Mattress World Northwest we take a lot of pride in understanding the specific features and construction of every mattress, so that we can match each customer's specific needs with the mattress that is right for them.